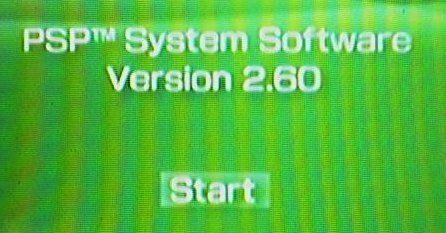 Sony has released Firmware v2.6 for the PlayStation Portable on 11.28.05. The last update was v2.5 and it added a LocationFree Player, which allows streaming of video to the PSP. The update before that, v2.0, added a WebBrowser. This latest update’s main features include WMA support, DRM capabilities, and a RSS Reader. Read the full changelog provided below for a full list of changes. [Simplified Chinese (GB18030)] and [Traditional Chinese (Big5)] have been added as options to [Encoding] under [View] in the [Internet Browser] menu bar*. *Characters may be indistinct in some cases when these encoding options are selected. [Volume Adjustment] has been added as a feature to [LocationFree Player]. You can now download video data that supports copyright protection using the [Internet Browser]. Note that you must adjust system setting to enable playback of WMA format music data. A connection to the Internet is required to adjust the setting. The RSS Reader will only work with RSS feeds that have compatible Mp3 tags. (will not work with Atom feeds.) The Reader does not actually display text but is rather is used to play podcasts directly on the PSP without having to either use a computer or having to visit a website to download a new episode everytime it becomes available. The only disadvantage while using this is that the you will not be able to save podcasts while using this interface. The audio will rather be streamed directly to the PSP and therefore you will need to be connected to the network for it to function. About time they supported WMAs!!! How do i get RSS(2.60)on my psp by computer(free)? How do i put video and games by computer onto my psp? how do i use the player on the psp????? Hmm, I smell an idea…. u retard WLAN stands for Wireless Local Area Network! not some “around the world” crap. its called that since the PSP has a WiFi card built in. Does anyone know if their will be support for .WMV files, or do you still have to convert them? can someone please tell how to get videos on psp version 2.60. After i upgraded the system i cant play videos on my psp nomore. For some reason it cant identify the movie file. Just go on Network Update and charge your battery full …. then you’ll have 2.60 in no time…. how do u put games on2 psp version 2.60 i have no idea first time doing it 4 me. ive been on forums and they all say different things do i need 2 download software on my psp 2 play games? wot do i do wiv the games once downloaded? would really appreciate some help, thank u.